Wedding Goa is a long cherished dream of almost every person. A blessing which only the chosen few receive in their lives is tying the knot with the person they love.To give wings to their love life begin it on the sunny-sandy beautiful beaches of Goa. It is beyond expression when you go through the wedding rituals against the backdrop of rushing waves with the moist sea breeze flowing in your face is quite an thrilling experience. A standing long row of palm trees dancing with the tunes of the sea breeze is a spectacular sight to behold. A decor which is added by the gleaming candle light makes your guests captivated. Just feel the mesmerizing ambience of your wedding Goa. Weddings in Goa are fast gaining momentum amongst young urban couples who want to do things a bit differently. 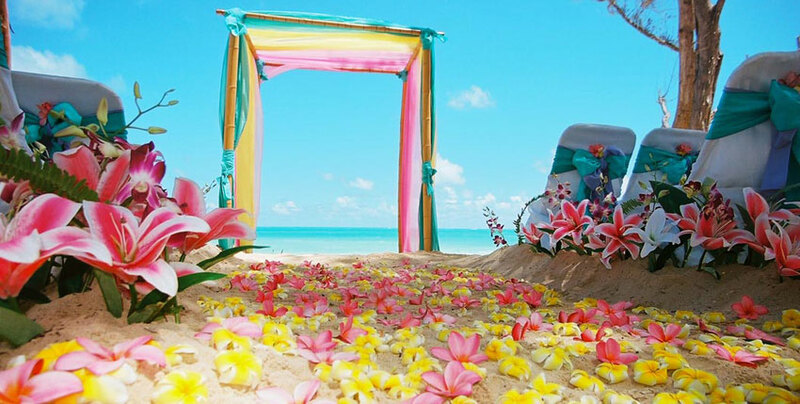 First among the Beach wedding India, Goa is a wonderful dream destination where people love to get married. Over the years, Weddings and Dreams has catered to a large array of people, all with vivid tastes, visions and ideas. The reason behind why people choose Goa because this is really a fascinating destination for the wedding ceremony India, also atmosphere here makes people from outside feel like their home. Apart from your holidays spend the best time with your loved one here. Also needn't to go far and outside for honeymoon when you can find Goa fit for all; from your family holidays to romantic one.